Can Tottenham beat FC Basel and qualify for the Europa League Semi-Final? 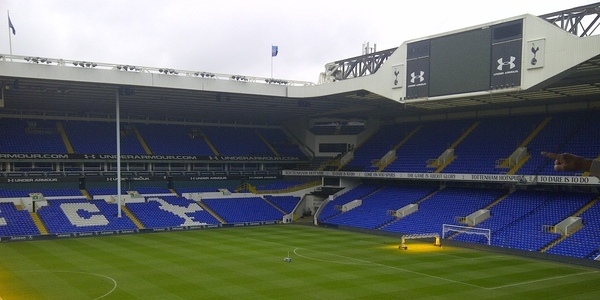 Home » News » Can Tottenham beat FC Basel and qualify for the Europa League Semi-Final? Tottenham will face an uncomfortable task after the 2:2 at the White Hart Lane and travel to FC Basel for the second leg of the Europa League quarter-final match. FC Basel go into this game knowing that a draw will be enough to propel them in to the semi-final of the Europa League. Tottenham are without Gareth Bale, Jermain Defoe, William Gallas and Aaron Lennon. All are sidelined with an injury. Tottenham came from 2-0 behind at White Hart Lane to draw the game, but know they will have to score in order to progress in the competition. Tottenham will find it difficult to break down Basel who were very impressive at Spurs last week, and without Bale, Spurs lack that attacking flair to their game. Bale will miss two games after being taken off on a stretcher against FC Basel last week. Bale could return for the Premier League game with Manchester City on 21 April. Tonight, however, is the time for players to step up to the mark and show people that they aren’t relying on just one player. Mohamaed Salah was the outstanding player in the first leg and Spurs will have to be careful if he finds his shooting boots. The 20 year old Egyptian was brilliant up until his finishing let him down. Spurs have a tough ask against a team that have played 18 European Matches this season and will be looking to make their first major semi-final since 1984 which they went on and won.